May it be an organic garden, or just plain garden with pots or containers, it seem that tomatoes is one of the reason why the gardeners tend to start this hobby. Technically, tomatoes are fruits. But, we have all grown to know that tomatoes are essential vegetables in every soup, dishes or drinks serve on our tables. Tomatoes are the small wonders in our gardens that are packed with much nutritions needed by our bodies. 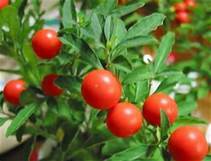 It has plenty of fiber, iron, magnesium, potassium, niacin, vitamins A, B6 and C.
It is also a great surce of antioxidant lycopene that researchers found an essential source to fight cancerous cells. 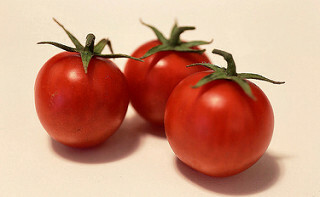 Growing tomatoes is easy that it can grow on soil or in containers of various sizes. Make it sure that, if you plant tomato seeds, plenty of rom to grow is needed. If you are planning to use containers, prepare your soil and add soilless mix for less inherent garden soil problems. Moist the soil and try to loosen and dampen it. You can also try putty the soil mix in a seedling container. In the container or seedling container, you can sprinkle the seeds on top of the potting mix. Seeds will germinate and not all that do germinate will survive that’s why we need to make sure, all the proper procedures of planting the tomato seeds or any other plant, are properly followed. After dampening the seeds to the mix, try putting the right amount of water to the mix. Keep seedlings within inches of the light source. Tomato seedlings need direct sunlight. Tomato plants need a little breeze. So if the seedling containers are inside your house, try putting fan for a little breeze for about 5-10 minutes.you, as a bonus. Tomatoes need lots of heat so, you can put a cover (trash bags can be used here) on the planting area where the seedlings will be transferred to add extra soil warmth. Plant the tomato seedings. Tomato seedlings need to be planted deep in the ground or in the pots. You need to plant it all the way up to the seedlings few leaves. This ten to make the roots stronger to stand. Mulch until the ground warms up. This helps to conserve water and prevent soil diseases to the plants. If the tomatoes reach 3ft tall, remove leaves 1ft from the bottom of the stem. These are the oldest leaves of your plant that are first to develop fungus. Try spraying compost tea that is effective to ward off fungus diseases. Pinch and remove suckers that develop in the crotch joint of two branches. They will no longer bear fruit and will take energy away from the rest of the plant. Prune the rest of the plant. Thin out the leaves to allow sunlight reach a ripening fruit. Never forget to water your tomato plant regularly. Once you miss watering, it may lead to a rotten fruit.The rule of thumb: make it sure your plants get at least 1 in. of water per week, but during hot, dry spells, they may need more. If your plants start to look wilted for most of the day, give them a drink. 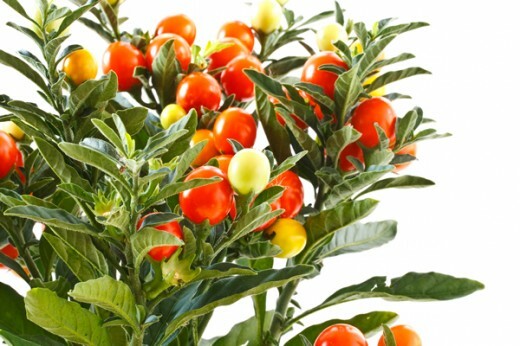 One the fruit ripens, you can ease up a little in your watering so not to concentrate sugar that adds flavor to your plant.